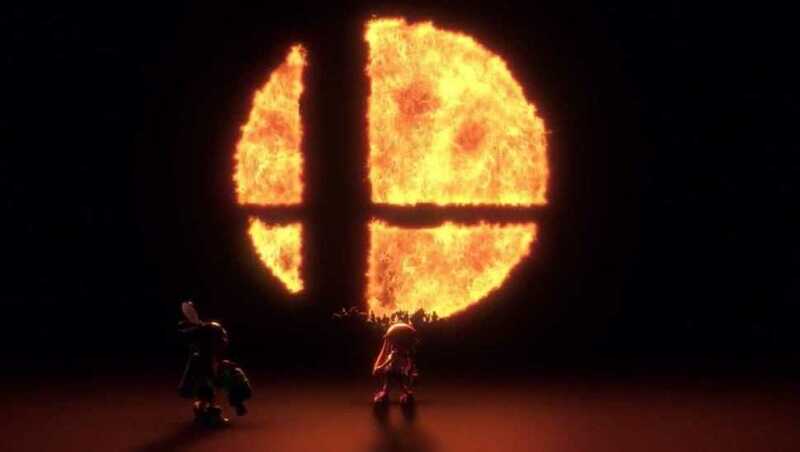 Super Smash Bros. is a series of crossover fighting video games published by Nintendo, and primarily features characters from various franchises of theirs. The series was created by Masahiro Sakurai, who has directed every game in the series. The gameplay objective differs from that of traditional fighters in that the aim is to knock opponents off the stage instead of depleting life bars. The original Super Smash Bros., released in 1999 for the Nintendo 64, had a small budget and was originally a Japan-only release, but its domestic success led to a worldwide release. The series achieved even greater success with the release of Super Smash Bros. Melee, which was released in 2001 for the GameCube and became the bestselling game on that system. A third installment, Super Smash Bros. Brawl, was released in 2008 for the Wii. Although HAL Laboratory had been the developer of the first two games, the third game was developed through the collaboration of several companies. The fourth installment, Super Smash Bros. for Nintendo 3DS and Wii U, were released in 2014 for the Nintendo 3DS and Wii U, respectively. The 3DS installment was the first for a handheld platform. A fifth installment, Super Smash Bros. Ultimate, was released in 2018 for the Nintendo Switch. The series features many characters from Nintendo’s most popular franchises, including Mario, Donkey Kong, The Legend of Zelda, Metroid, Star Fox, Kirby, Yoshi and Pokémon. The original Super Smash Bros. had only 12 playable characters, with the roster count rising for each successive game and later including third-party characters, with Ultimate containing every character playable in the previous games. Some characters are able to transform into different forms that have different styles of play and sets of moves. Every game in the series has been well received by critics, with much praise given to their multiplayer features, spawning a large competitive community that has been featured in several gaming tournaments. The current best platforming fighting game. A+ music, A+ character designs, great balancing of the characters, fun single player mode, great level design. great, great and great. hey look, my children ice climbers are back! i have reached maximum ascendance. I believe with the Smash Brothers series you have it’s ups and its down, (Smash 4.) It’s been 10 years since I’ve enjoyed a Smash Brothers game with that being Brawl for the Nintendo Wii. For me a game can easily and quickly rope me in by having a beautiful story, deep meaning, and good gameplay and a lot of games I play most of the time miss the mark. Brawl’s Subspace mode was special to me and already played Melee and the 64 version of the game I was blown away- I never played anything like Brawl before. So, not to go into detail about Brawl since this is an Ultimate review I’ll make it short. Brawl opened a door for me in story telling that I never thought I’d actually love. Me being 9 years old when playing the game I wasn’t aware that these Nintendo faces had a bigger and badder threat looming over them, this threat is Tabuu. Since then I have always told myself Brawl will always be special to me for making me invested in this world. For Example seeing Ness and Lucas on the same screen interacting with each other was something bonkers for me. Mainly because as a lot of people who’s had one conversation with me knows Earthbound is my all time favorite game. So seeing Nintendo acknowledge these legends was something I would’ve never expected in my wildest dreams. I did not like Smash 4. Now Ultimate – the game I’ve waited 10 years for, a game that upon announcement made me do something that hadn’t happened since the announcement of God of War (2018.) And that was scream so loud I literally strained my vocal chords and I was unable to speak at a certain volume for a few days. Now honestly I shouldn’t have screamed becasue in the back of my mind I thought; it’ll probably be just another Smash 4 where a lot of the game isn’t my tea and I still won’t see Ice Climbers. I was wrong. Watching every Official Nintendo Announcement regarding Ultimate was life changing every time and with the success of the Nintendo Switch it’s a game I had high hopes for. Let’s start off with the game itself, how it feels, how it plays. The game is fast paced, this isn’t anything new for the series at all. But when you go from Brawl to Ultimate you feel a bit more grounded feel. Where characters instead of being floaty and light. Almost feel and play like they look. For example, the first thing I did when booting up the game was go to Classic mode and play captain falcon. He is this really thin character with quick movements and fast and fluid punches. Before the release of Smash Ultimate I did play Smash 4 to get a feel on what I missed out on and quickly switching from Smash 4 to Smash 5 (6 since Sakruai considers Smash wii u and Smash 3ds to be different games, there’s your fun fact of the day) it was not a drastic change and I learned things primarily by testing what worked in Smash 4 and what works in this installment. Which you’d be surprised is a lot. I won’t lie I’m not a big vocab user and at the end of the day I am just a guy with a nose. Moving forward on with Adventure mode; spirits. A mode that for me felt like it wasn’t as great as Subspace but I do feel tone they were going for. After running about 30+ hours in the Adventure mode I could appreciate the many fights it gives you the fact that a lot of fights are never the same and will either be a finger tearing challenge or a walk in the park. It is pretty much after the first areas what you see is what you get. There is New Game Plus after you beat the main story, which i haven’t started admittedly but the Spirits will keep you invested in the Adventure mode with different approaches to each fight. Online mode is Online. Nothing has really changed if one of the players you play even has the thought of going into a 3 bar connection it will tank and you will be mashing hoping it’ll let go soon. It’s also really bare when it comes to it’s features online, there isn’t much of a co-op online. like why can’t I play Smashdown Online? Why? That’ll be amazing literally amazing. Or why can’t I run classic online? Atleast with a friend?? Options like these have an easy work around with using things like Parsec (which I’m trying to figure that out still.) Moving forward Online would be a miss if it wasn’t one of the main focuses of the game. Smash – core modes, everything is the same with the exception of Smashdown and the new and improved Custom Battle mode. I never cared much for other modes but in Ultimate it feels almost as if was tweaked so you can throw yourself in almost in situation and find different solutions in and out of any battle. let’s see, there’s super sudden death mode which is absolutely insane and every moment of it makes me nervous and my heart pound with anxiety. In conclusion Super Smash Brothers Ultimate takes something from each Smash game and builds upon that with love and care. Although I am critical of Smash for the Wii u/3DS I would have to thank it for being the successor and having good mechanics which are made better in this one. Sorry this took so long to make, sickness, personal family things and overall laziness I would recommend this game to newcomers and veterans. -12/22/2018 2 weeks after the game came out. The bittersweet good ending which is made by destroying and galime, and darkon. uhh, I don't know what to say here. THE LAST GAME IN ITS SERIES. but they’re good. also, Matpat made a theory about it. Copyright © 2014 - 2019 SocksCap64, All Rights Reserved. Logos, Trademarks, Pictures Belongs To Their Respected Owners. Powered By WordPress. 102 Queries in 0.483 seconds.